If you find yourself struggling every month in an attempt to just cover life's basic necessities but somehow find yourself falling further behind every month, it might be time to consider filing for bankruptcy. Nobody sets out get in financial trouble, but life has a way just ganging up on you sometimes. In many cases, it's best to just get a fresh financial start rather than just keep hoping against hope that things will turn around. Mount Vernon is an amazing place to live and raise your family. Over the last 20 years, it has been named one of the best small cities in America, and for good reason. We are a community of hard working folks who pride themselves on independence and freedom. Like a lot of smaller cities, however, Mount Vernon has been hit hard by our recent economic downturn. Along with many Skagit County residents, unemployment and wage stagnation are a growing concern. Many of our friends and neighbors have struggled to keep up on their mortgage and car payments. And, many more have struggled just to keep a roof over their head and food on their table. If you find yourself swimming up stream every month just to keep your head above water, you're not alone. 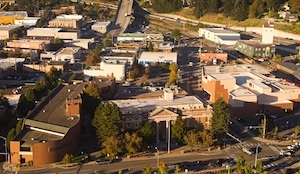 Our Skagit County and Mount Vernon bankruptcy lawyers are working class lawyers. We understand that hard times can hit anyone, no matter how hard you work. And, if you find yourself in a monthly fight for financial survival, we want you to know that help is available. Your creditors and those wicked debt collectors that harass you day and night want you to think that even considering the prospect of filing for bankruptcy equates to being a total failure in life and being horrible person. Our debt relief attorneys want you to know that this complete and total hogwash! In fact, the bankruptcy laws were specifically put into effect to help good, honest, and hard-working folks who, many times through no fault of their own, suddenly find themselves struggling just to financially survive. There is no shame in exercising your legal right to file for bankruptcy. If you qualify, you have an absolute right to do so. Your creditors want you to believe that bankruptcy means failure because they know darn well that if you pick up the phone and call our offices there's a good chance that they will NEVER see another single penny of your hard-earned money. Our Mount Vernon debt relief attorneys serve clients throughout the entire Skagit Valley and the Greater Puget Region, including the Skagit County cities of Anacortes, Sedro-Woolley, and Burlington. If you live Mount Vernon or anywhere else in Skagit County and are financially struggling due to crushing debt, we encourage you call our offices for a free, no obligation initial consultation. One of our bankruptcy professionals will be happy to analyze your case and walk you through the path to financial freedom. Get help and real answers from one of our Mount bankruptcy lawyers today! Decades of Combined Bankruptcy and Debt Relief Experience. Considering Bankruptcy in Mount Vernon, Washington? Our Bankruptcy Lawyers Have Helped Numerous Washingtonians Obtain a Fresh Financial Start. The Basic Bankruptcy Process. 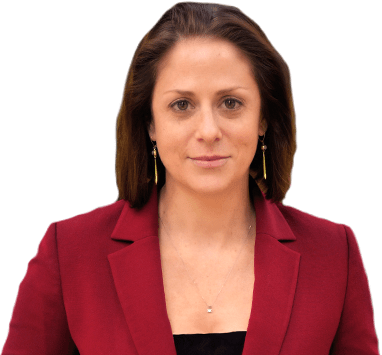 Many people who are overwhelmed with debt do not know where to turn for financial and legal advice and are literally frozen in fear to try to continue to deal with creditors they know they can longer afford to pay. Our law firm has many years combined legal experience representing and guiding individuals through the bankruptcy process step by step in a calm, clear understandable manner to help ease the stress of filing for consumer bankruptcy. We are sympathetic to your financial problems and are to help you. Many businesses throughout Mount Vernon and Skagit County are still struggling. Our bankruptcy attorneys are here to help. We want you to understand that when you work with a skilled debt relief professional bankruptcy is often not an incredibly arduous and painstaking process. Every case begins with you filling out our detailed financial questionnaire while also providing us with various financial documentation. From here, we complete all of the necessary bankruptcy paperwork and court pleadings in order to file your petition. After you have carefully reviewed it, everything is filed with the Western District of Washington Bankruptcy Court. The Means Test. There is still a lot confusion about qualifying for bankruptcy here in Washington State. Back in October of 2005, the U.S. Bankruptcy Code was revised to include a “Means Test” to help determine the debtor’s ability to repay between all or none of its unsecured creditors. This test then helps determine whether a debtor may be able to file a Chapter 7 Bankruptcy to discharge all of its qualifying dischargeable unsecured debts or may be required to file a Chapter 13 Bankruptcy to repay at least part of its debts. Our bankruptcy legal services law firm has years of experience performing a precise Mean Test analysis for all of our clients and prospect clients. Our Mount Vernon bankruptcy attorneys are skilled at working the Federal and Washington State bankruptcy laws and will help you determine not only whether or not you qualify for bankruptcy protection but whether or not you should pursue a Chapter 7, a Chapter 13, or a Chapter 11 personal bankruptcy. Chapter 7 Bankruptcy is the most commonly filed bankruptcy for individuals and families. Chapter 7 Bankruptcy discharges (wipes out) all of your qualifying unsecured debt. Unsecured debt is debt without property attached to it. The most common unsecured debt is credit cards, medical bills, payday loans, unpaid utilities, residual car repossession debt, and broken apartment leases. Under valued/negative equity mortgage debt on surrendered and foreclosed homes is also unsecured debt that can be discharged in Chapter 7 Bankruptcy. Older income tax debt and some Social Security Income and Unemployment Income overpayments may also be discharged in Chapter 7 Bankruptcy, but only if very specific requirements are met. Student loan debt, both government and private is rarely dischargeable. Many people mistakenly believe that "private" student loans are more easily discharged than federal student loans. In truth, however, both are nearly impossible to discharge unless there are very, very unique circumstances present. This is true because the real question is not whether the loan originated from a private or a government source, but rather whether or not they were use for "educational purposes", which is actually very broadly defined. One of our experienced Mount Vernon bankruptcy lawyers can advise you which of your debts can be wiped out by filing for bankruptcy. Sometimes a debtor makes substantial monthly contributions to a retirement plan who does not qualify for Chapter 7 Bankruptcy, will have a nominally payment of as little as $100/month for the term of their plan, and then gets a discharge of their unsecured debts at the end of the plan. And in some cases, the debtor only pays some or all of their secured debts (e.g., car loan and/or home mortgages) through the Chapter 13 Plan and pays none of its unsecured debt which is eventually discharged at the end of the plan. Whether or not pursuing a Chapter 13 bankruptcy makes sense is sometimes a complicated analysis. Our debt relief professionals are here to assist you in determining whether or not filing for Chapter 13 protection makes sense given your unique facts and circumstances. Our Mount Vernon bankruptcy lawyers know how to structure and put together Chapter 13 bankruptcy plan that maximizes your relief, that sets a payment that you can realistically afford, and that will also satisfy your trustee when it is reviewed for feasibility. Chapter 13 bankruptcy is an incredibly powerful financial tool that has many benefits. Chapter 13 Plans can also be used for people who also qualify for Chapter 7 Bankruptcy, but wish to repay their mortgage arrears, car loans, and tax debts at lower and more favorable terms. And, in cases where a second mortgage has essentially become 100% unsecured due to the declining value of one’s home, a Chapter 13 bankruptcy can be utilized to actually discharge the entire balance of the second mortgage and still allow homeowners to keep their homes. Located in Skagit County, Mount Vernon is small but thriving city that is now pushing 40,000 in population. 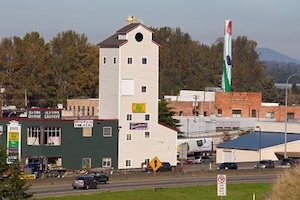 It is also close to many other smaller cities throughout the Skagit Valley. It is the largest city in Skagit County and is roughly twice the size of its nearest competitor, which is Anacortes. Mount Vernon is home to the Skagit Valley Tulip Festival, which is held every spring. 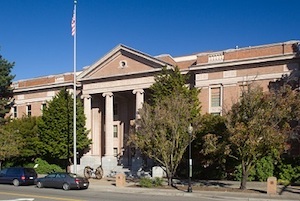 It is also home to the Skagit County local government. Our Mount Vernon bankruptcy attorneys serve clients throughout Skagit County and the entire Skagit Valley, including the cities of Anacortes, Sedro-Woolley, and Burlington. The Path to Debt Relief May Be Just One Phone Call Away! Talk to a Skagit County bankruptcy lawyer today! Call now for a Free, NO OBLIGATION Attorney Consultation. Confidential and Helpful Financial Analysis.